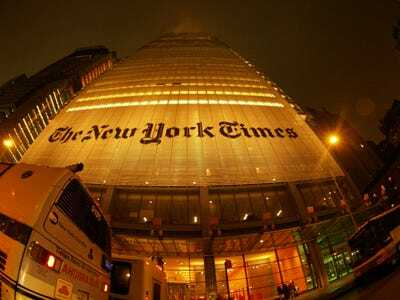 NEW YORK (AP) – Moody’s Investors Service said Wednesday that it has lifted its rating on The New York Times Co. on its expectation that its revenue declines will slow as the economy recovers. The service said about $325 million of debt is affected by the change. Moody’s said it changed its rating on the publisher to “stable” from “negative” on the belief that the Times’ newspaper advertising revenue will still fall in the high single digits in 2010 but will “moderate” as the year progresses and “stabilise” in 2011. New York Times shares rose 6 cents, or 0.5%, to $11.75 in extended trading, after Moody’s announced the upgrade. During the regular trading session, the stock fell a penny, or 0.1%, to close at $11.69.